We shouldn’t have to convince you to go to this musical. 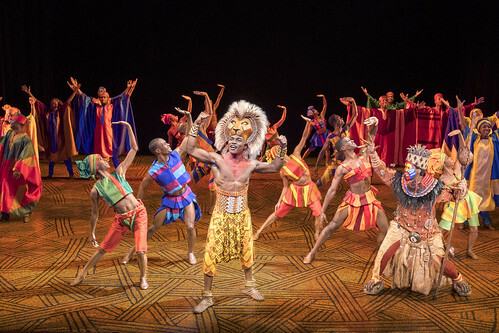 The Lion King has been on Broadway for over 20 years. If you haven’t seen it yet, WOW. Just...wow. To top all of the talent off, it has the most stunning costuming – things you can’t have imagined that will stick with you for life. The real star of this show is the costuming. We never could have imagined such creativity in practice. From the animals to the plants, everything was so uniquely designed and brilliantly functional. We loved the birds, the leaping antelopes, the cheetah (wow! ), and the hyenas (the designs fit their characters very well). Of note is the dancer who ran with the antelopes - he jumped so high, and for such long periods, that he truly embodied the leaping creatures. Everything was so well-made, and you could really tell that great care was taken when making each and every costume. We've seen photos of this musical for years. It was extraordinary, to see the characters (and even the grass, birds, and rocks) come to life. 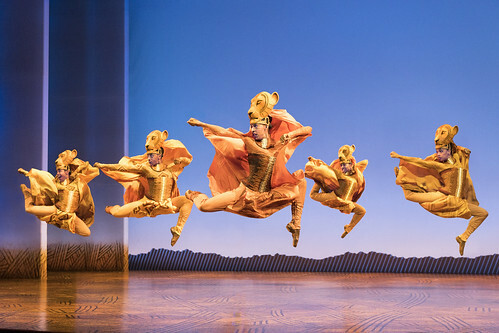 Gerald Caesar as "Simba" and company in THE LION KING North American Tour. ©Disney. Photo by Deen van Meer. Throughout the show, they played with the art of lighting, which is something that is hard to master. It was done perfectly – especially the fish! The staging and sets were so evocative of the African savannah. Mukelisiwe Goba, as Rafiki, was marvelous and brought light to every scene she was in. Mark Campbell, as Scar - well, let’s just say that if Thranduil had a cousin that was a lion, that would be him. Regal and sneering. Thembelihle Cele, as grown Nala, was an incredible vocalist. Ben Lipitz, as Pumbaa, has over 5,000 performances in this role – he’s still fresh and funny. 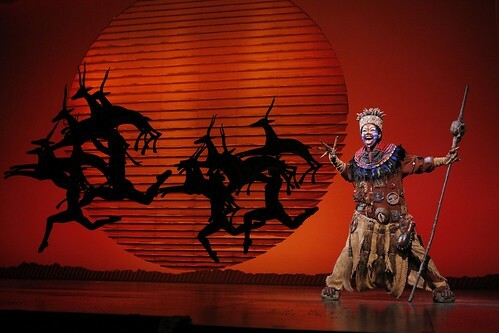 Buyi Zama as Rafiki in THE LION KING North American Tour. ©Disney. Photo by Joan Marcus. You’ve already heard the songs before, that’s a guarantee. But hearing them onstage, live, is a completely different experience that sends chills down you. With a full band as well as 2 balconies with drummers, the sound permeates the entire auditorium. You'll leave singing! 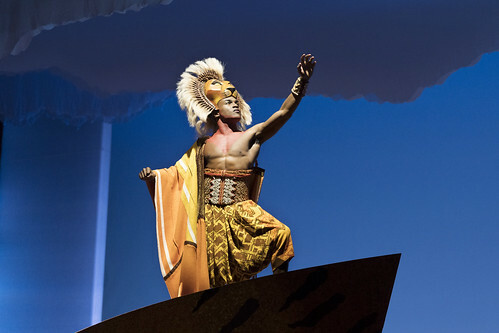 Gerald Caesar as Simba in THE LION KING North American Tour. ©Disney. Photo by Deen van Meer. Photos courtesy and copyright The Lion King, used with permission.